Revolutionary Cool Gel Memory Foam Technology! 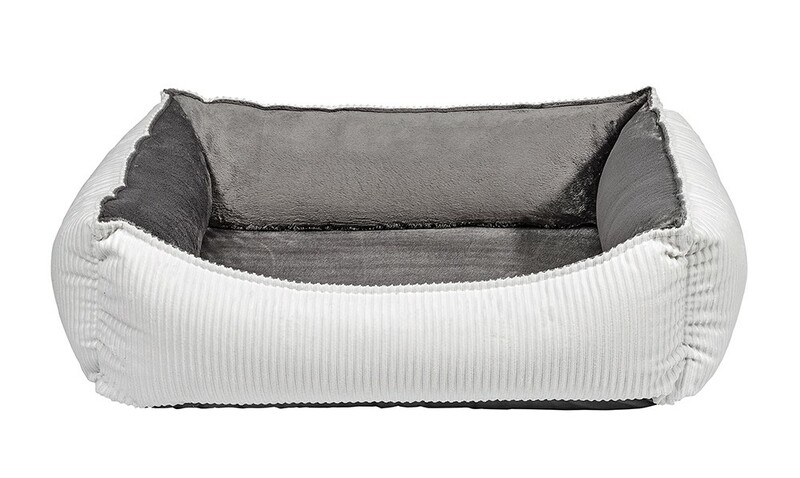 This innovative design features a "scooped" front which creates a modern sleek look while creating easy access for smaller or older arthritic dogs. The memory foam cushion insert is infused with Cool Gel Micro Beads which regulate body temperature. Elegant two-tone fabric combination and European style "scalloped" trim. Removable Cool Gel center cushion and zippered outer cover. 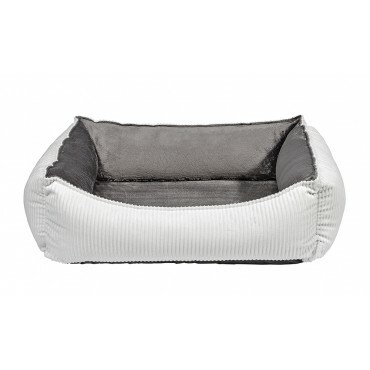 Generous sizing maximizes sleeping area; great design for larger dogs. SML: 29" x 23" x 8.5", MED: 33” x 26” x 10", LRG: 39” x 30” x 11”, XL: 47" x 35" x11"
SML: 18” x 14” x 5”, MED: 22” x 18” x 6”, LRG: 28” x 22” x 7”, XL: 35" x 24" x 7"
High memory Polyester fibre. Cool gel memory foam cushion insert. Unzip cover and remove bolsters. Rezip and wash cover only on cool setting. Wash removable inner cushion cover. Tumble dry low heat.